Is the Holy Spirit nudging you? God is full of surprises and delights in calling us to ministry in new ways. Great leaders are oftentimes unaware of their own gifts and God’s great purpose for their lives. Noah probably had no idea he was going to build an ark; James and John were minding their nets when Jesus said, “Follow me,” and Saul certainly didn’t understand the plans God had for him before encountering that blinding light on the road to Damascus. Stephen Ministry is one way at UPC that you can use your gifts of faith, mercy, and encouragement to answer God’s call to service. While walking alongside another, you may even find God strengthening your faith and revealing your purpose in new and surprising ways. Our training course offered in January 2019 will equip and empower you to faithfully serve as a Stephen Minister and walk alongside others through the more difficult seasons of life. 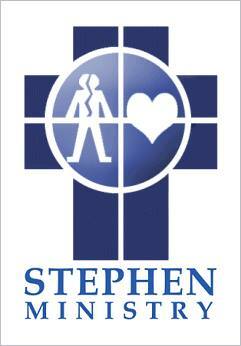 The name Stephen comes from Saint Stephen, who was the first layperson commissioned by the Apostles to provide caring ministry to those in need. If you would like more information about becoming a Stephen Minister or receiving the care of a Stephen Minister, please contact Hillary Bergman Cheek, UPC’s Interim Associate Pastor, at hillary@upcch.org or (919) 929-2102 or visit upcch.org/stephen-ministry for more information.